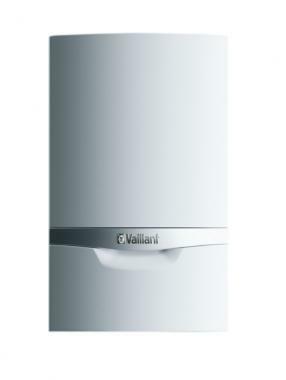 The Vaillant ecoTEC plus 435 offers the most powerful output in this range of regular gas boilers and would be suitable for a large four or five bedroom detached house with multiple bathrooms. Its compact size (60x38x34cm) and lightweight construction (it weighs only 33kg) makes it ideal for hiding behind a kitchen cabinet but you will need a minimum of 60cm front clearance to allow access for servicing. The ecoTEC Plus range is available in 4 outputs so if you don't need the powerful 35 kW version there options available for all property sizes your heating engineers will be able to advise you. This range of Vaillant boilers also comes with a standard 5 year warranty which is higher than some of its rivals offer and Vaillant consistently score highly in customer satisfaction surveys.